Note: The following recipes are not SCD. We got a special request for a recipe The Man made over New Year’s, so I’m including it here. 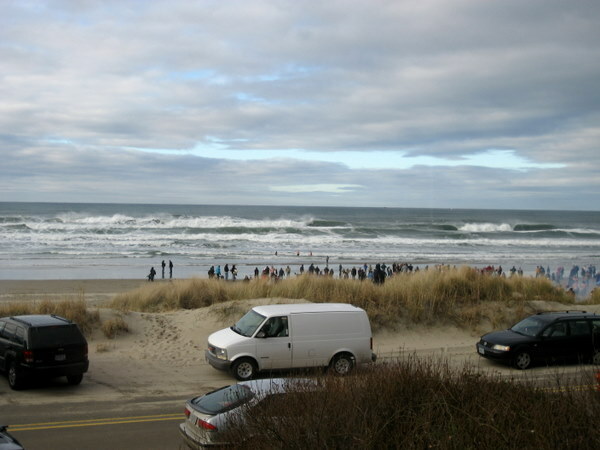 Over New Year’s weekend we went to the coast with twenty-five of our closest friends. (You can tell I’m an Oregonian now because I wouldn’t even consider calling the coast the beach. Nope. 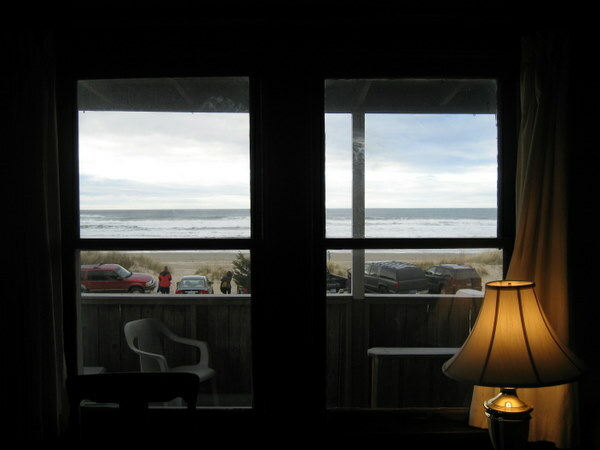 I’m definitely an Oregonian: it’s the coast, don’t you know?) Some of the folks in this group have been going to the coast every New Year’s for over ten years. We were lucky enough to get invited. Yea! Before we get to the recipes, here are some views. Oh, to be there now! My little group (me, The Man, and DL) was responsible for dinner on New Year’s Eve. We made Sally Schneider’s pulled pork (DL), black eyed peas and collard greens (me), and cornbread (The Man). We got a few requests for the cornbread recipe, so I’m posting it here. SCDers, avert your eyes (as I had to avert my stomach, so sad). The first recipe is the one The Man actually made. (Due to a series of unfortunate events, he lost the recipe he wanted to make and had to go with one we had on hand. He was quite agitated, but fortunately, the cornbread was a hit in spite of not meeting his idea of Perfect.) The second recipe is the one he wanted to make, which is from his biking friend, Melanie (a diff Melanie), but includes his modifications. Grease an 8-inch skillet or baking pan. Mix together the dry ingredients. Stir in the corn, onions, jalapenos, and cheese. In another bowl, mix together the oil, eggs, and buttermilk. Add the dry ingredients and mix until just combined. Do not overstir. Pour into skillet and bake for 25-30 minutes or until lightly browned. Should be moist inside, not dry. And now, off to cheer for the JETS and stuff my face with SCD football food.